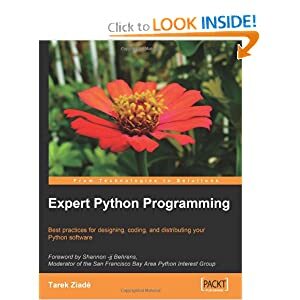 Expert Python Programming shows how Python development should be done with best practices and expert design tips. This book is for Python developers who are already building applications, but want to build better ones by applying best practices and new development techniques to their projects. The reader is expected to have a sound background in Python programming. Tarek Ziadé is CTO at Ingeniweb in Paris, working on Python, Zope, and Plone technology and on Quality Assurance. He has been involved for 5 years in the Zope community and has contributed to the Zope code itself. Tarek has also created Afpy, the French Python User Group and has written two books in French about Python. He has gave numerous talks and tutorials in French and international events like Solutions Linux, Pycon, OSCON, and EuroPython.